Why is America Failing in Afghanistan? What Happens When the U.S. Leaves Afghanistan? Afghan security vacuum feared along "gateway to Kabul"
Was Osama for Real? And Was He Killed in 2001? Afghanistan: The Final Curtain Call for NATO? Exclusive: Karzai family looks to extend boss rule in Afghanistan. Does the Taliban need a diplomatic voice? Why Isn’t the UN Investigating and Prosecuting the U.S. and NATO for War Crimes Committed in Afghanistan? Q+A-Are Afghan forces ready to take over security? New US approach to Afghanistan insurgency: Vindication for Pakistan? Operation Moshtarak: Which way the war in Afghanistan? Q&A: Why Marjah, why now? Once Again, Get the Hell Out! "Ending the War in Afghanistan"
Q&A: Who else could help in Afghanistan? Afghanistan summit: Why is the US backing talks with the Taliban? An Alternative to Endless War - Negotiating an Afghan Agreement? Do the Taliban represent the Pashtuns? How significant is Mullah Baradar's arrest? What's the Quetta Shura Taliban and why does it matter? Pakistan Version of Islam and Taliban ????? Rebuilding Afghanistan: Will government take hold in this post-Taliban town? Will Obama change Afghan strategy? Does the U.S. still have a vital interest in Afghanistan? 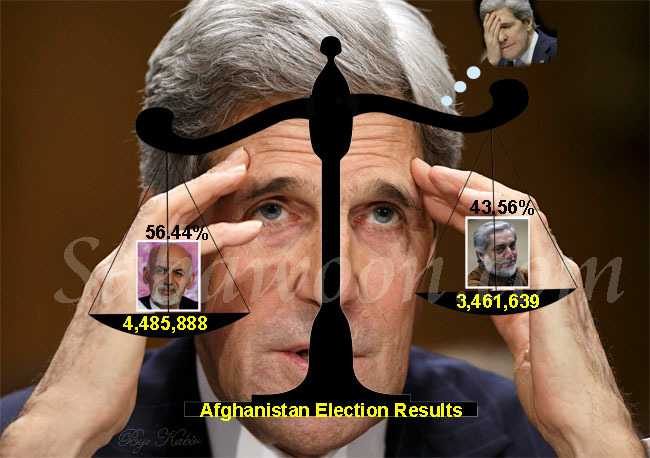 The Afghan Runoff: Will It Be a No-Show Election? CIA: Buying peace in Afghanistan? Fear in the classrooms: is the Taliban poisoning Afghanistan's schoolgirls? Q+A: Who are the Pakistani Taliban insurgents? Help! I'm being outgunned on K Street! ANGELS CHASING DEMONS: “Jesus Killed Mohammad”! Afghan election: Can Karzai's rivals close the gap? Petraeus Is a Failure -- Why Do We Pretend He's Been a Success? Will history repeat itself in Afghanistan? The US and Europe play a leading role in working for Afghanistan's stability. Can the interests of China, India, Iran, Pakistan, and Russia also aid in the nation's success? New Delhi — Although the United States and its NATO allies are leading the effort to stabilize Afghanistan, many of Afghanistan's powerful neighbors also have an interest in how the country fares. China, India, Iran, Pakistan, and Russia are each invested in Afghanistan – Beijing, for example, has committed billions to mine copper, and Tehran pours aid into areas that border Iran. Also out of national interest, though, these countries are leaving to the West the difficult task of fighting the Taliban. And for some, disagreements over unrelated issues have prevented further cooperation on Afghanistan. Here's a look at what role these countries play in Afghanistan. How important are Afghanistan's big neighbors to achieving peace? There is growing acceptance in the region that a stable and independent Afghanistan will have improved relations with its neighbors. Despite their rivalry, even India and Pakistan have increasingly begun to discuss – with Afghanistan – how they might combat the Taliban. Some analysts say, however, that Pakistan regards the Afghan Taliban as a means to counter India's growing influence in Afghanistan and as potential allies when the US withdraws. How involved are Afghanistan's neighbors now in peace or reconstruction efforts? India currently has a "soft power" presence in Afghanistan, in the form of development aid, cultural ties, and building projects. With more than $1 billion invested, Afghanistan constitutes its biggest overseas investment. China's role in Afghan­istan is primarily economic. It spent $3.5 billion to secure extraction rights at a copper mine in Aynak, south of Kabul, the largest single-investment project in the country. Since 2001, Iran has taken an active part in reconstruction in Afghanistan, particularly in the areas close to its border. Russia has promised to keep a land and air route through its territory open as an alternative to NATO's supply route through Pakistan, which is increasingly vulnerable to attack. It also has trained Afghan government antinarcotics officers. Why might Afghanistan's neighbors continue to stay involved? India: India recognizes how vital a stable Afghanistan is for its own security and is particularly concerned about the spread of terrorism in the region. India would also like to be seen as a responsible partner of developed countries, and its role in Afghanistan demonstrates that. Energy-starved India is also increasingly preoccupied by access to oil and gas in Central Asia. Its involvement is likely to remain soft, says Brahma Chellaney, an analyst at the Center for Policy Research in New Delhi. "India has earned a lot of goodwill in Afghanistan over the decades; the moment it gets involved militarily that is likely to change," he says, adding that India's historic roles in civil wars in the region – especially in Sri Lanka – also make it wary of military involvement. China: Besides business interests, China wants stability in Afghanistan to safeguard its alliance with Pakistan and to prevent the destabilization of western Xinjiang Province, home to separatist Muslim Uighurs. China is unwilling, however, to send troops to Afghanistan. Russia: NATO recently asked Russia, which invaded Afghanistan in 1979 and spent almost a decade fighting Western-backed militants there, to provide helicopters to Afghanistan and help train the Afghan Air Force. Russia has said it wants NATO to win in Afghanistan and will consider the request. But it remains deeply suspicious of the old cold-war alliance and has repeatedly ruled out sending troops. Ties have been further strained by the 2008 war between Russia and Georgia and by US-backed plans to invite more former Soviet states to join NATO. Iran: The US says Iran, which shares a common language and historic ties with Afghanistan, could play a key role, despite concerns over its nuclear program and allegations it has provided arms to terrorists in the region. Analysts say that a stronger Taliban could benefit Iran, an avowed enemy of the US, by keeping US forces busy. Iran, however, wants stability in Afghanistan so it can increase trade and stem the flow of opiates across its borders. Few believe that Iran really wants to strengthen the Taliban, which Iran's supreme leader declared in 1996 was an affront to Islam. Iran helped to train and arm many of the fighters of the anti-Taliban Northern Alliance, but relations soured after President George W. Bush included Iran in his famous "axis of evil." What might work against regional cooperation in Afghanistan? Any expansion of India's influence in Afghanistan could antagonize a suspicious Pakistan, which accuses Delhi of using its influence there to support Baluchi separatists in Pakistan. Some fear increased Indian involvement could have a destabilizing effect. India, in turn, has accused Pakistan of involvement in the attacks on India's presence in Afghanistan. India is also increasingly unsettled by China's strong presence in Afghanistan and Pakistan. More generally, in the region, growing skepticism about the US strategy in Afghanistan could prompt countries to pull back from involvement there. China's moneymaking activities in Afghanistan have caused discomfort further afield, meanwhile. In coming years, when production starts at the Aynak copper mine, for example, its Chinese owners will get a multibillion-dollar return. The area will have been guarded, all the while, by Afghan police trained by an array of countries, including the US military. The articles and letters are the opinion of the writers and are not representing the view of Sabawoon Online. Copyright © 1996 - 2019 Sabawoon. All rights reserved.